It is hard to believe that there are only three weeks of classes until March break! These weeks are packed with numerous special events, from skating at NYA’s Travis Roy Ice Arena and celebrating friendship in honor of Valentine’s Day to spirit week festivities and the Lower School Arts Celebration. At this time of year, we take time to enjoy final adventures in the snow and begin to dream of the longer days of sun and blooming flowers that springtime will bring. This is also a time of tremendous learning in the classroom, as students build on prior learning and stretch themselves to take on new challenges. Families can nurture this learning by reading every day with their child, making school a priority in their schedules, providing encouragement especially when taking on a challenge, and supporting the teachers in all that they do. Thank you for your help! The Lower School Arts Celebration will take place on Wednesday, February 27 in the NYA gym (snow date = February 28). This year’s theme is Africa! Doors will open at 2:10 p.m. for parents and families to enjoy the art show. The concert begins at 2:30 p.m. All Primary and Elementary students will take part in a musical performance. Dress for the performance is bright, colorful attire. Following the concert, families are invited to stay for a brief reception that will conclude at 3:15 p.m. We ask that parents sign out their children before departing from the gym. The usual sign-out sheets will be on a table by the gym door. Please sign-up with Leslie if your child will be attending After Care following the concert. We look forward to seeing you there! On Tuesday, February 12, grades two through four will attend a performance by Queen Nur, an African American storyteller, entitled Sweet Potato Pie and Such. The students will listen to tales, sing songs, and explore rhymes that focus on African American heritage. 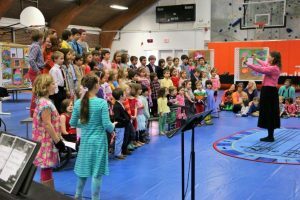 This presentation ties in perfectly with the Lower School Arts Celebration on February 27, as this year’s theme is Africa! In addition, Mrs. Gagne’s class is currently involved in a study of Malawi, a southeast African country. They have been exploring the cultural traditions, food, clothing, language, and economy of this country. The students are initiating a community service project to provide needed supplies to a Malawian village school. To help meet the needs of our families, we will offer the option of care from 8:00 a.m. – 5:00 p.m. during our March vacation. This will be available to all Lower School students on a first-come, first-served basis, and some dates have already filled up. Rate for this care is $80/day. If you plan to utilize this service, please contact Leslie. The deadline to sign up for care over March break is Friday, February 15. 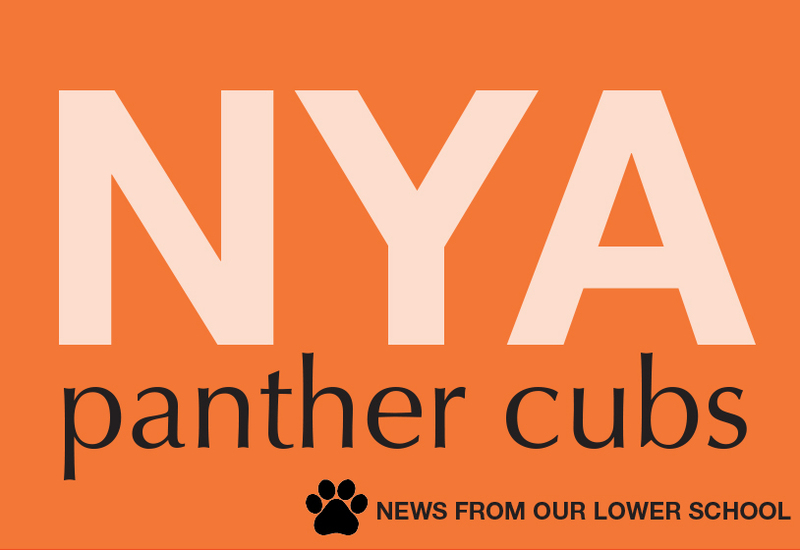 To help combat the winter doldrums, NYA plans a Spirit Week each year. This year, Spirit Week will be February 25 through March 1. We will mix things up a bit with some special dress days and fun activities and projects. The special dress days might include pajama day, orange and black day, or wacky attire. Classroom teachers will send out details with specific information for each child’s class. 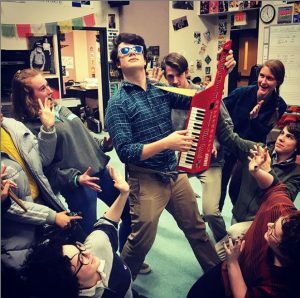 The NYA Yearbook is a much-loved publication. The Lower School students do have a small section in the book, though the primary focus is on our older students. Yearbooks are available for $55. If you would like to purchase a yearbook for your Lower School student, please contact Meghan Scribner by February 22. Be sure to include the name and grade of your student(s). 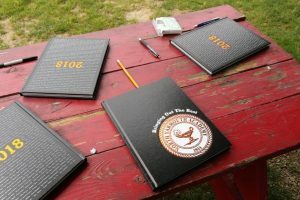 The yearbooks will be passed out to students during our NYA Picnic/Fun Day on May 31. Payment may be made directly to the Business Office, and checks should be made out to NYA Yearbook. NYA will host our sixth annual March Break Photo Reading Challenge. This year’s challenge is Share a Story. 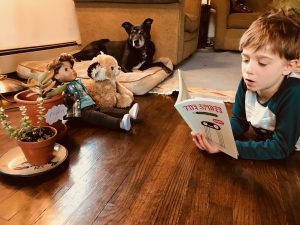 Find someone to read to – your grandparents, your favorite four-legged friend, your stuffed animal collection, whomever, whatever, wherever; take a photo or a selfie; and email it to Eliot Grady. All photo entries must be received by noon on Wednesday, March 20 to be considered. The pictures will be judged by a panel of faculty and staff, and a winner for each Division (Lower, Middle, Upper, and Faculty/Staff) will be announced on Friday, March 22 at Friday Forum and via newsletters. Get creative, have fun, and READ!! 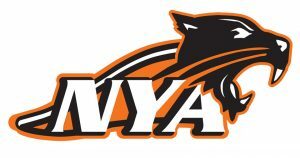 NYA will host a Girls on the Run (GOTR) group on campus this spring. GOTR is open to girls in grades three through five. The group will practice on Mondays and Wednesdays from 3:15-4:45 p.m. from March 18 through May 29. Each practice will focus on a topic related to the girls’ lives and include discussions, games, and a running workout. The running practice helps to prepare the girls for an end of season celebratory 5K Run with other GOTR girls from all over Maine! Your daughter does not have to be a runner to participate; she can run, jog, walk, or skip her way to reaching her goal of crossing the finish line! Registration closes on Thursday, February 14. Visit Girls on the Run Maine to register or learn more about the program.